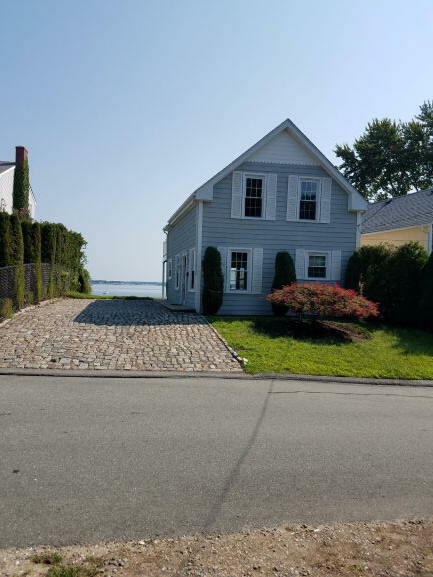 Waterfront 5 Room Colonial, designed as a 1 Bed, 1 1/2 Baths, patio, appliances, washer & dryer, hardwoods, gas fireplace & gas heat, air, skylights, full unfinished basement with storage, large deck with incredible unobstructed views of the Bay, 8,276 sq. ft. lot, lawn maintenance & snow plowing included, large storage shed, water & sewer included, ample parking mooring, fishing, boating, swimming! No pets. Take West Shore Rd to Rock Ave to Bluff Ave. Asking $2,100/month.